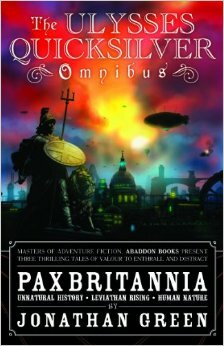 Someone else has just discovered Pax Britannia: Unnatural History for the first time, and here's what they had to say about the book. "A real rip-roaring adventure full of spills, thrills and little digs at modem society... an excellent read. The characters are well rounded and interesting, the heroes are both square-jawed and stiff upper-lipped, without being two dimensional. The villains equally have depth enough not appear cartoon-ish."